Named after the African goddess of the sea said to have given birth to the oceans, Yemaya’s philosophy of tea is dedicated to the moment when you put time on hold and reflect inward (something the Caregiver could use a little of!). 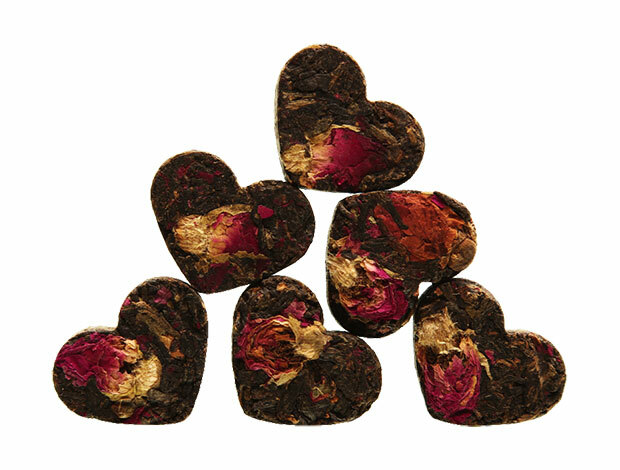 These red tea rosebud hearts also come with a heart-shaped tea infuser, a cute reminder that you’re loved. This gorgeous, inventive set is perfect for the person who has exquisite taste, a refined palate and an adventurous spirit. 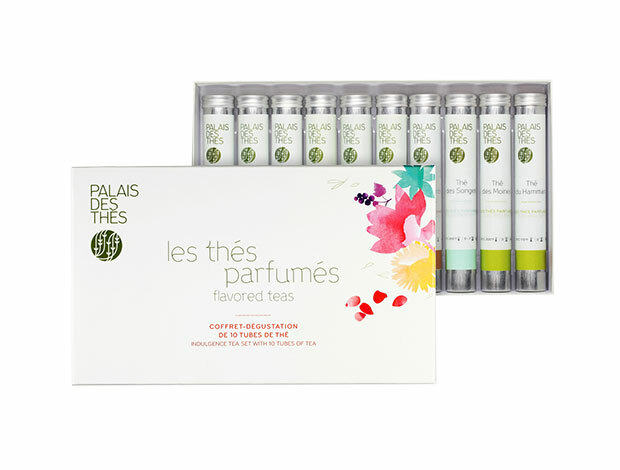 The 10 flavored teas created by Palais des Thés include gourmand vanillas, Earl Greys, green teas, florals and fruity blends that fit any mood or occasion, but most of all, are fit for a queen. The creators behind Bellocq combine their creative efforts with true Visionary prowess – starting in London, with backgrounds in writing, editing and designing, they developed teas sophisticated enough for a discerning clientele, but available for everyone to enjoy. This green tea mint blend was born and bred in Brooklyn, inspired by Morocco, and created in small batches using organic tealeaves. The unusual combination includes Chinese gunpowder green tea with mint and marigold, making it the perfect tea to enjoy iced or hot. Idea for your next Downton Abbey binge session: throw a tea party! 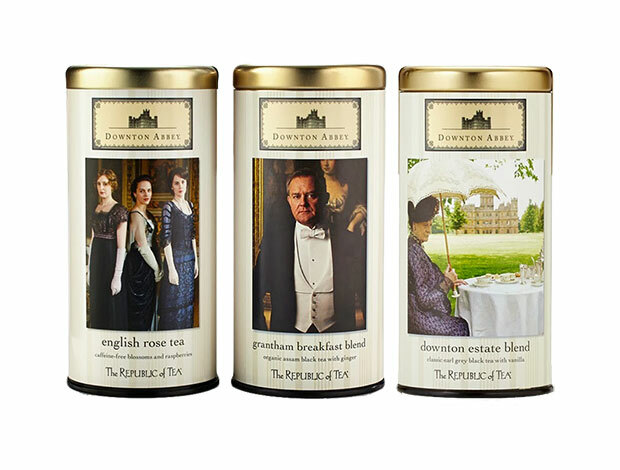 Order these delicious teas to serve – the English Rose Tea is a fruity, vibrant blend of rose, raspberry and hibiscus while the Grantham Blend Tea is a full bodied blend of organic Assam black tea and ginger and the Downton Estate Blend is an Earl Grey black tea with a sweet touch of vanilla. Don’t forget to have cucumber sandwiches and bring along your best silent, disapproving glances. Pukka, translated from Hindi to mean “top quality” and “authentic,” develops their teas by following ayurveda—the ancient Indian art of living wisely—and the incredible health benefits of organic herbs. 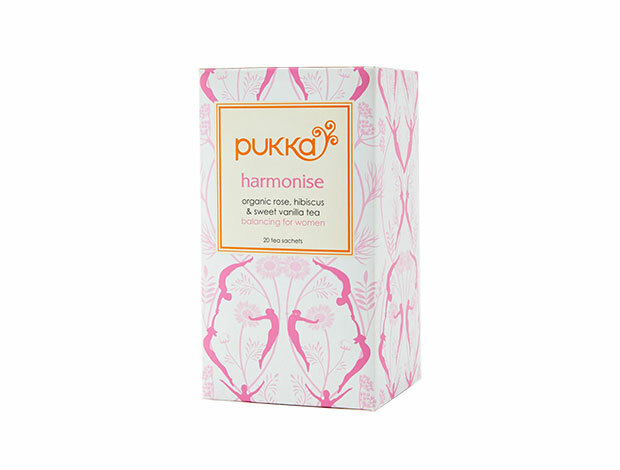 Harmonise is 100% organic and rejuvenates with rose, hibiscus and vanilla and chamomile flower to soothe and restore. The tea also boasts fantastic regulating properties which can help your insides find some balance, too. Sure you’ve got BB, CC and even DD creams, but do you have BB tea? 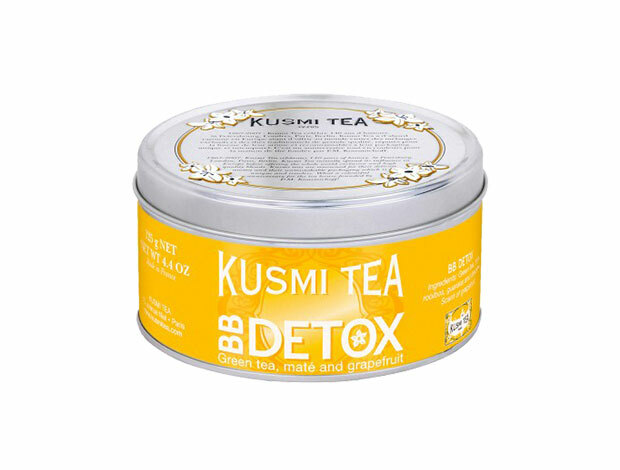 This BB Detox is a beauty tonic – created with green tea, maté, rooibos, guarana, and dandelion, flavored with a hint of grapefruit. 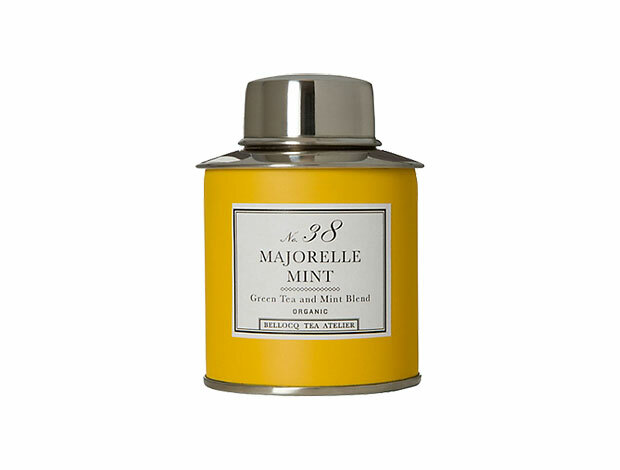 The blend not only tastes delish, but also promises to hydrate and beautify skin; maté and green tea detox out skin-dulling elements, while rooibos and dandelion help to nourish and protect the skin with their potent antioxidant properties. Finally, grapefruit adds vitamin C for cellular support. This chai is something special – crafted of a fair trade blend of mate and cacao, the flavor is outstanding. Creamy vanilla, nutty coconut, pepper, cardamom and cocoa make this a real treat. Traditionally served in South Asia, this tea indulges your adventurous spirit while comforting you after a long journey. 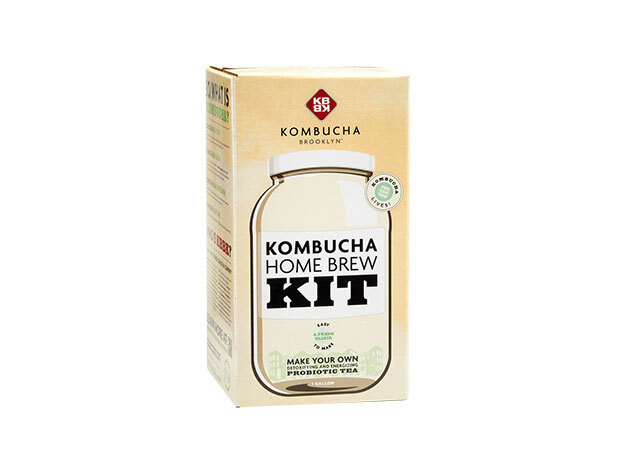 If you’re not already making your own, this starter home brew kombucha kit includes all the essentials for making your own, including the 1-gallon glass jar! 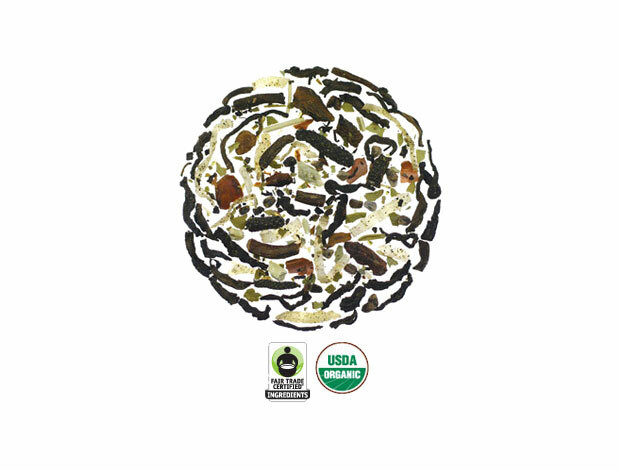 Rest assured the ingredients inside are organic, sans pesticides, herbicides, and follows fair trade practices. Plus, you get to have kombucha whenever you want it. This energizing blend of Matcha tea and mango comes to us by Mercy, the brand most known for hangover relief drinks, so you know they got their knowledge on lock. Fortified with nutrients proven to increase cognitive function and mental acuity, this little bottle helps you stay your sharpest. Inspired by favorite cake recipes with aromas of fresh baked goods from the oven, these deliciously indulgent teas are perfect for unwinding after a long day. 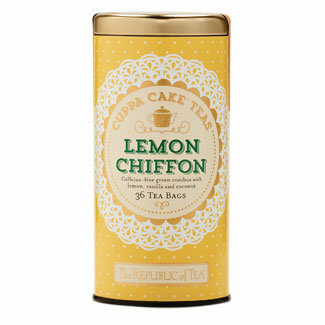 With a little imagination, you can basically taste the lemon chiffon cake, without any calories or dietary restrictions. Each wonderful cup can be served hot or cold. 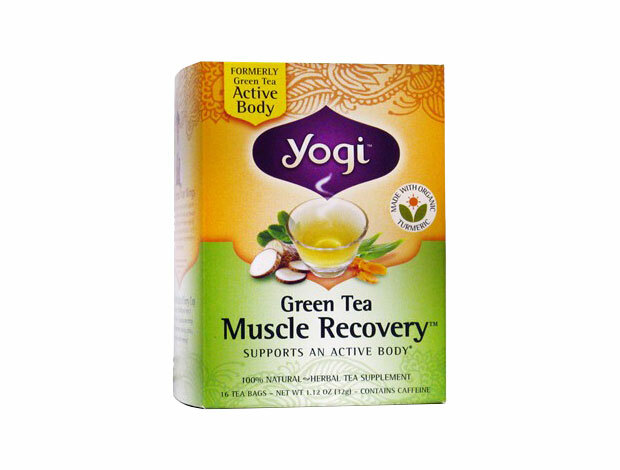 Yogi Green Tea Muscle Recovery is an antioxidant-rich green tea blended with muscle-supporting turmeric root. They then add a 1-2 punch of devil’s claw root and yucca root-herbs from indigenous herbal traditions that help decrease recovery time from the minor aches and pains that may result from exercise. The big finish? The formula includes ginseng-eleuthero extract to reenergize and invigorate. Tea? More like marTEAni. This herbal concoction creates a delicious, mood-enhancing beverage perfect for the daring drinker. The formulas range from Restore, Chill, Chi, Bliss, Aphrodisiac or a mixed set of all 5 – varying in exotic fruits, vegetables, teas and spices – and can be blended with your spirit of choice (or if you’re on the wagon, you can keep ‘em virgin).